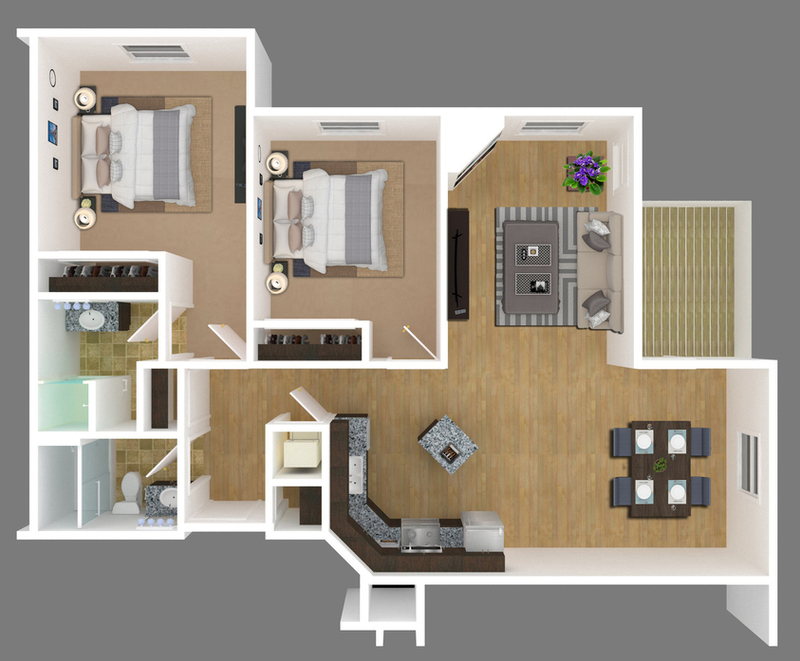 The Walnut apartments are our largest layouts and they include a fireplace in the living room. A spacious balcony is connected to the dining area, which is separated from the living room. The master suite includes a walk-in shower and the laundry is centrally located in the apartment.